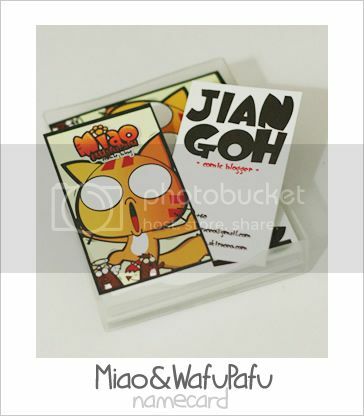 Miao & WafuPafu Comic Blog » Miao&WafuPafu is Trapped!! Although, the color doesn’t come out as how I wanted it to be but I kinda like the design. Posted on October 23, 2010 by Jian Akiraceo. 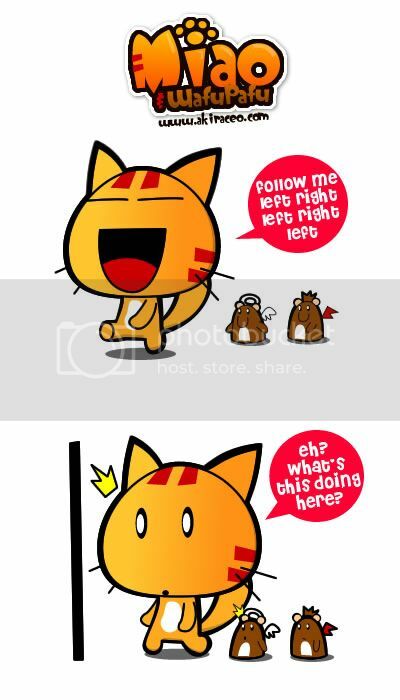 This entry was posted in Announcement and tagged cartoon namecard, creative namecard, miaowafupafu, namecard. Bookmark the permalink. I can’t ‘come’ 🙁 You’re too far away ! Wasnt expecting for the card as I thought something else might occur. wow!!! nice…can i have 1??? AWESOME~!!! Best namecard I hve ever seen. it’s cute and nice. *thumbs up* Love it! Well, you could always mail one to me 😛 ! Going back Malaysia during the year end though heh.